Mary Pauline Wade Schimmels, 81, of Duncan, OK went to be with her Lord and Savior, March 22, 2019 in Oklahoma City. The family will receive visitors at the Don Grantham Funeral Home Thursday, March 28, from 5:00-7:00pm. Funeral Services are scheduled for 10:00am Friday, March 29, 2019 at Parkview Baptist Church with the Rev. Roger Bennett officiating. Interment will be at 3:30 pm at the Arapaho Cemetery, Arapaho, OK. Services are under the direction of Don Grantham Funeral Home. Mary was born in Duncan to Stanley Newman Wade and Bernice Stanley Wade Gibbs. She graduated from Empire High School in 1955. While in high school, she, her cousin, and another classmate formed an evangelical team that ministered in the area. While a student at Oklahoma Baptist University, she met Clifford Dean Schimmels whom she married on June 6, 1958. Mary worked as a nurse in Cordell, Watonga, and Oklahoma City. She also worked at the Billy Graham Center Library, Wheaton College, Wheaton, IL where she worked on materials pertaining to the education of missionary children. She co-authored And Then There Were Two with her husband. Mary also was an aide to ESL classes at Proviso West High School in the western suburbs of Chicago. 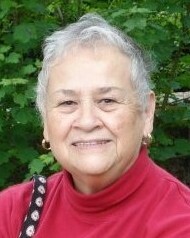 Mary also served many years as an administrative assistant at Lee University, Cleveland, TN. As part of the International Institute of Christian Studies now known as Global Scholars, Mary taught English at Kiev State Pedagogical Institute of Foreign Language in Kiev, Ukraine and Zhejiang Normal Institute in Jinhua, China. Mary went on to serve for several years on the board of Global Scholars. In the last few years living in Duncan, Mary has taught a Sunday school class at Parkview Baptist Church, has been involved with the Chickasaw Senior Center, and has served as president of a local TOPS Chapter. Mary is survived by her children Paula and husband Tony Hampton of Chesapeake, VA, Larry and wife Sarah Schimmels of Richmond, VA, and Kristina Schimmels of Vilnius, Lithuania; grandchildren Alyssa and husband Aaron DeBord of Chesapeake, VA, Ann Schimmels of Richmond, VA, Delaney Hampton of Chesapeake, VA, and William Schimmels of Richmond, VA.
She is also survived by sisters, Virginia Gore, Patricia Dill, Francis Gray, and Nancy Artre and her husband David all of Duncan, and in-laws Vernon and Lois Schimmels of Clinton, OK, John and Roberta Elder of Arapaho, OK; Ron and Sandra Johnson of Choctaw, Ok and also many nieces, nephews, and cousins. Family was extremely precious to her.